Apple GymKit has started rolling out to Apple Watch users, allowing integration between the smartwatch and compatible fitness equipment. First announced at WWDC 2017 back in June, the feature means that those rocking watchOS 4 on their wrists now have the ability to pair their device to the likes of indoor bikes, treadmills, stair steppers and more. Naturally, this kind of NFC tech isn't compatible with just any piece of kit down at your gym. The Watch can only sync with the latest machines from manufacturers, such as TechnoGym and Matrix Fitness, though Apple itself has previously indicated that its partners provide 80% of equipment used in gyms around the globe today. It all works with just a tap of the watch, too, much akin to Apple Pay and the end result is the Apple Watch and gym equipment combining to keep track of metrics such as pace, distance, calories and heart rate without the user having to rely on or the other. "We wanted to simplify the cardio machine experience and make it more accurate than ever before. 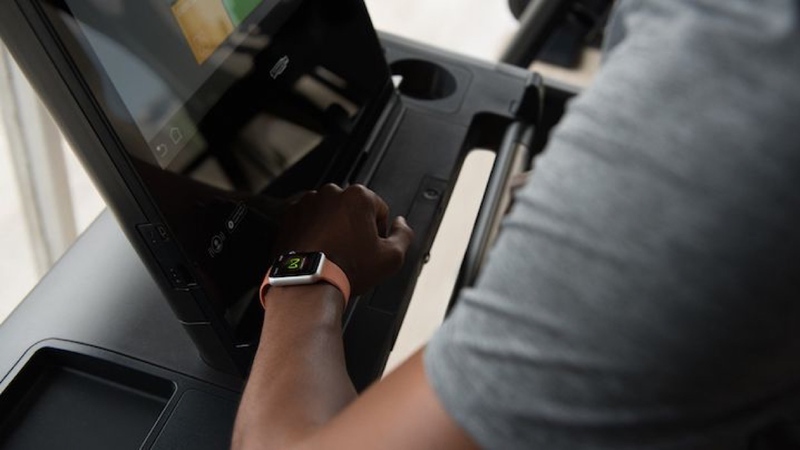 With a quick tap on your favourite cardio equipment, you'll see for the first time, two-way data exchange in real time that will result in the most accurate measurements possible with less device management," said Apple's senior director of fitness for health technologies, Jay Blahnik. GymKit is to be rolled out globally, though it has debuted in Australia with Fitness First. The company will be the first to provide compatible equipment throughout the country, though there's currently no details regarding GymKit's wider release. We've contacted UK and US manufacturers for comment, so check back here for more info on when GymKit will be available near you.